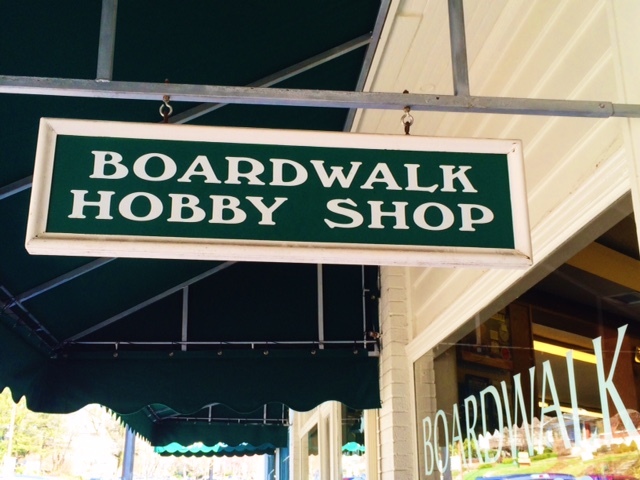 Boardwalk Hobby Shop – Go There. Try That. I have always enjoyed playing games. As a kid, I couldn’t get enough of board games or card games. In fact, my grandpa taught me to play poker as a young child (and he would not hesitate to take my money)! If someone would play it, I’d learn it: backgammon, parcheesi, Shanghai Rummy (still a family favorite). I even tried to learn bridge one time with my Aunt Nan, and as much as I hate to admit it, that’s the one game I never fully understood. When my family hangs out now, it’s the same story- you will likely find us sitting around late into the evening playing everything from Train (a domino game) to Skip-Bo (cards) to Sorry (board game) to crossword puzzles (OK, that only happens with my mom)! 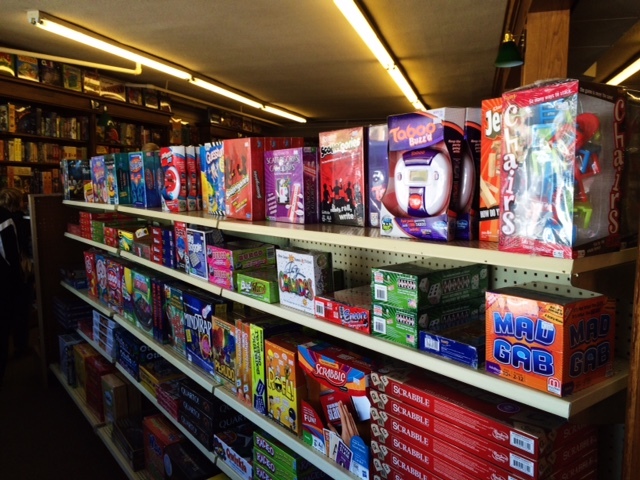 We love variety, and often the family Christmas gift is a new game! Therefore, it was important for me to find a local game shop in my area! My favorite find so far? 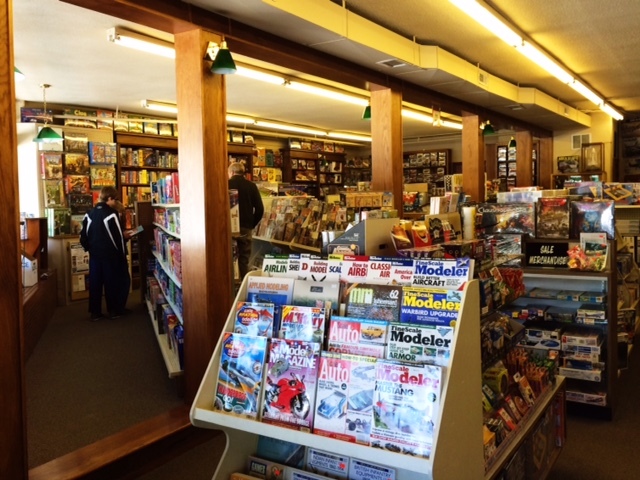 Boardwalk Hobby Shop in Mt. Lookout! From shopping at Boardwalk Hobby Shop I’ve ventured into many of those categories! For example, I am proud owner of the strategy game Settlers of Catan, the Mensa award winning card games Set and Quiddler, the social game Quelf, the word game Bananagrams, and the skill/puzzle/memory/dice game (quadruple threat here) Q-Bitz. I guess it’s time I expland into building models of…well…something! 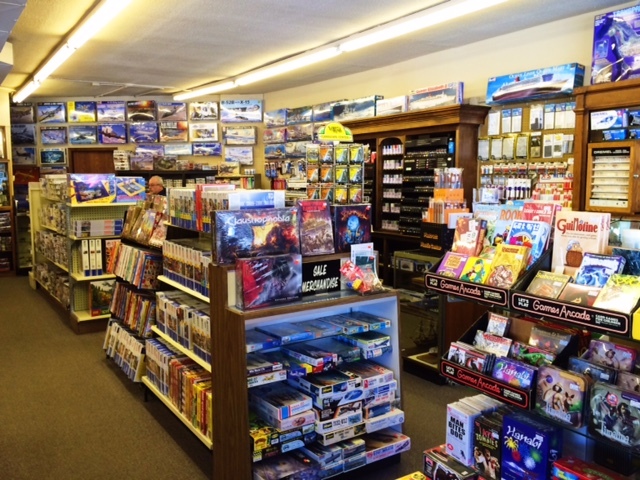 Not only have I often bought gifts for friends and family here, my husband has purchased a couple awesome games for me at Boardwalk Hobby Shop! 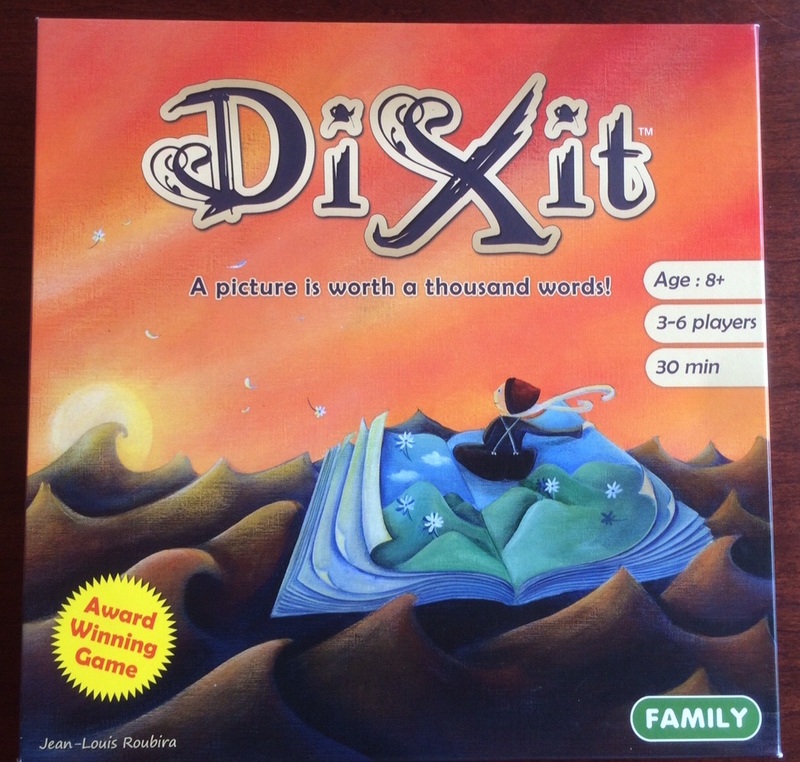 One, Dixit, I absolutely love because it’s creative and involves weaving stories around beautifully illustrated pictures. This is the perfect game for a literature teacher and perfect for her husband who does not enjoy playing word games with said English teacher wife. It’s great with a group of people because you can play individually or with partners. Also, there’s not a huge learning curve so that’s a plus when playing with new people. There are also expansion packs of pictures available (sold at Boardwalk Hobby Shop) which I plan on picking up very soon! Another game I cannot recommend highly enough, Telestrations! I have, while playing this game, literally laughed so hard my stomach hurt, I started snorting, and I almost passed out (on numerous occasions)! 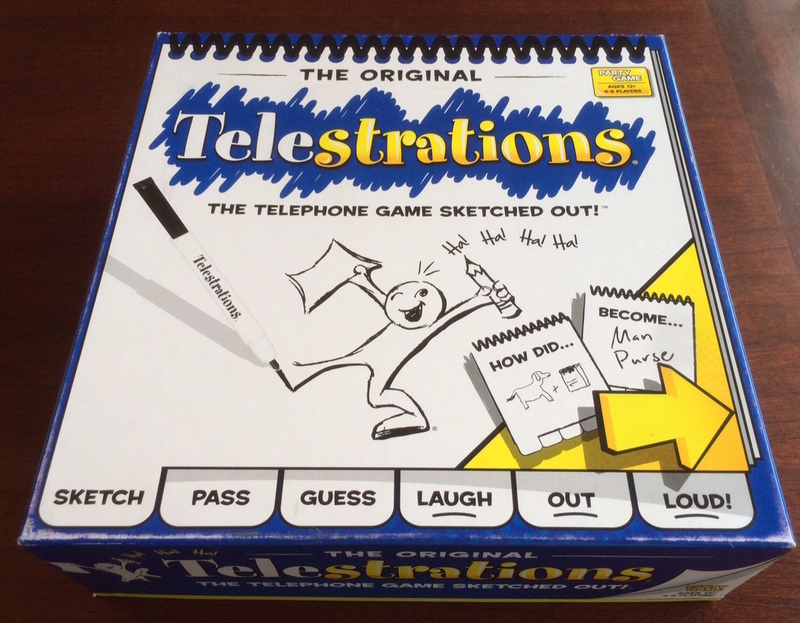 Telestrations is kind of Pictionary meets the Telephone Game. Hilarious! Drawing skills are not required; in fact, part of the fun is that there are bound to be a few skilled artists in the circle and some artists who draw like preschoolers. I’ve played this one with both friends and family and it’s always a blast! My only complaint with the makers of this game, they need to include better dry erase markers. 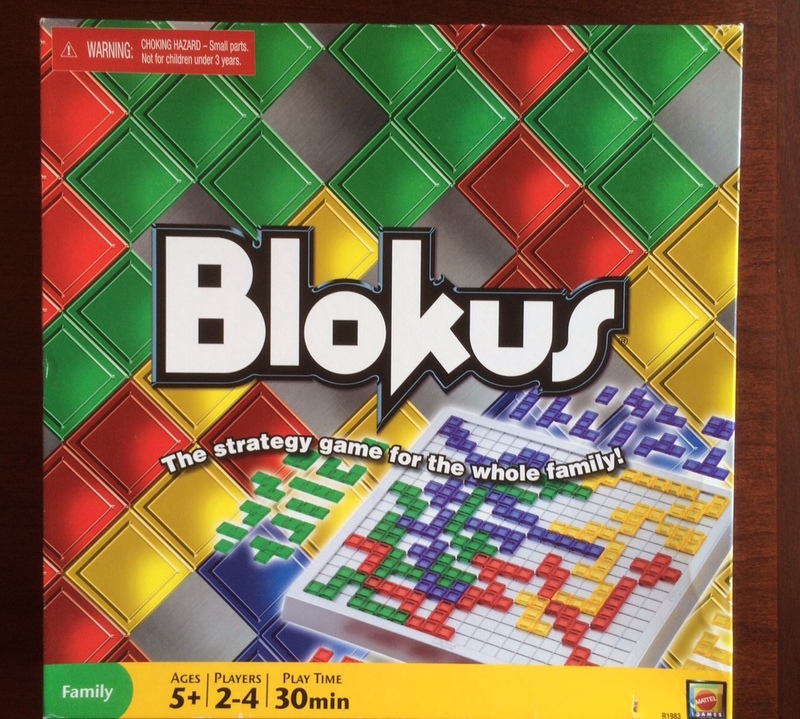 One day while perusing the game shop we stumbled on Blokus, a puzzle/strategy game. I bought this one with a couple people in mind who aren’t super into the loud social games. This abstract strategy game, similar to Tetris, has become one of my favorites. This is a great 2-4 player game. This one is well-suited to people who are strong visual thinkers. Q-Bitz, which I mentioned briefly above, is also great for visual thinkers! It’s just a much faster paced game. Blokus is simple to learn, yet highly addictive. Even with friends, my idea of a fun Friday night is dinner, games, coffee, and lots of laughter. Best room in my house is the game closet! Want to play Euchre, I’m in! Want to play word games, I’m in! Want to teach me a new game, I’m in! When we want to find a standard classic, something social and fun, or something mentally challenging that involves strategy, we always go to Boardwalk Hobby in Mt. Lookout. I could write pages and pages about games I love. Trust me! Playing games with friends and family has truly generated some of my most favorite moments and memories! If you have any favorite games, I’d love to hear about them in the comments. Game night, anyone? GO THERE (Boardwalk Hobby Shop)! TRY THAT (Dixit, Telestrations, Blokus)! WKRC Cincinnati and Thanksgiving Cocktails! Valuable information. Lucky me I discovered your website by chance, and I’m shocked why this twist of fate didn’t came about earlier! Thanks so much for the comment and for reading!! This is where I buy all my presents for my nephews and where I get my games, as well. The staff, and fellow patrons, are happy to recommend games when you aren’t sure what you want. I am such a fan! I’m glad you know about this place and support them. Some of our favorite games are from here.